How do whales and dolphins breathe? Home > About whales & dolphins > How do whales and dolphins breathe? 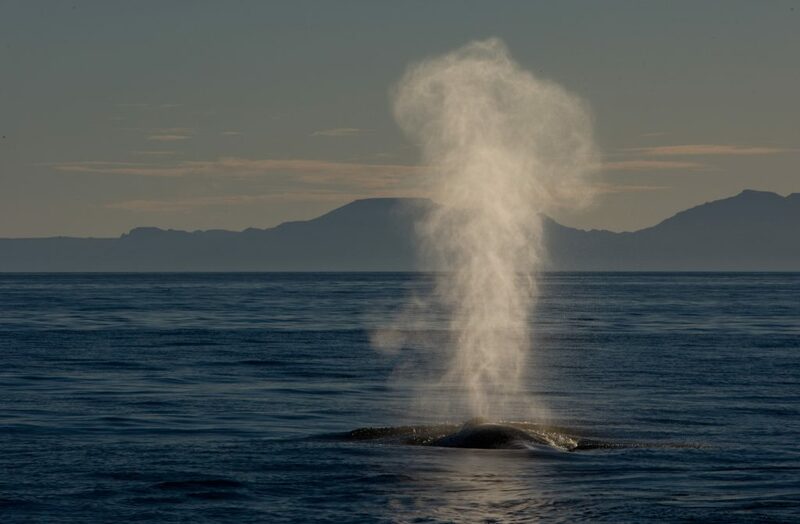 Whales and dolphins are mammals and breathe air into their lungs, just like we do. They cannot breathe underwater like fish can as they do not have gills. They breathe through nostrils, called a blowhole, located right on top of their heads. This allows them to take breaths by exposing just the top of their heads to the air while they are swimming or resting under the water. After each breath, the blowhole is sealed tightly by strong muscles that surround it, so that water cannot get into the whale or dolphin’s lungs. When a dolphin surfaces for air, he breathes out (exhales) first and then breathes in (inhales) fresh air; it only takes a fraction of a second for the dolphin to do this. If you are close by, it is easy to hear a dolphin’s ‘blow’ at the surface; in fact you will often hear a dolphin before you see him! The blow is the sound you hear, and the spray of water you see, when the dolphin forcefully breathes out and clears away any water resting on top of his blowhole. The water spray is not coming from the dolphin’s lungs; it is just water sitting on top of its head around the blowhole being blown away before he inhales. Dolphins do not breathe through their mouths in the same way as people can, they only breathe through their blowholes. In this way, breathing and eating are kept entirely separate in dolphins so that they can capture prey in their mouths and swallow it without the risk water getting into their lungs. Dolphins are able to hold their breath for several minutes but typically they breathe about 4 or 5 times every minute.